Stock status is current as of 4/21/2019 12:53 PMET. 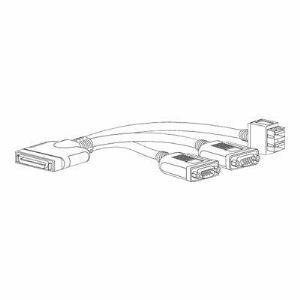 The KVM cable (N20-BKVM) provides a connection into a Cisco UCS 5108 blade server, providing a DB9 serial connector, a VGA connector for a monitor, and dual USB ports for a keyboard and mouse. With this cable you can create a direct connection to the operating system and the BIOS running on a blade server.